Hillary Clinton says unclear if 2016 election was legitimate, but doesn't know if there is a legal way to challenge. 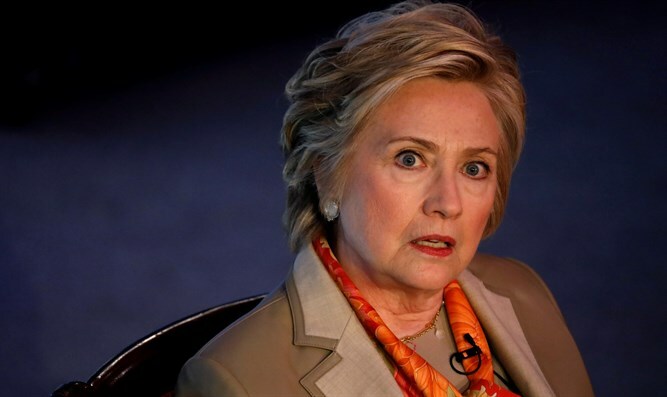 Former Democratic presidential candidate Hillary Clinton said she doesn't rule out challenging the results of the 2016 election, but wasn't sure if there was a "legal, constitutional way to do that”. "I think you can raise questions," Clinton told NPR's Terry Gross when asked if it would be legitimate to challenge the legitimacy of the election. Clinton acknowledged, however, that "I don’t know if there’s any legal, constitutional way to do that". The shocked Gross pressed Clinton to acknowledge what she had said. "You’re not going to rule it out?" she asked. "This is totally unprecedented in every way," Clinton confirmed that "no, I wouldn’t rule it out". Clinton contended that she would have acted differently had she won with looming allegations over Russian interference. "I had lost the popular vote but won the electoral college, and in my first day as president, the intelligence community came to me and said, “The Russians influenced the election,” I would’ve never stood for it," said Clinton. Clinton added that "even though it might’ve advantaged me, I would’ve said, “We’ve got to get to the bottom of this.” I would’ve set up an independent commission with subpoena power and everything else." Clinton is back in the public spotlight after releasing her new book 'What Happened' that dissects the 2016 election. Despite her broadsides against Trump in the book, writing that "he made my skin crawl", this is the first time Clinton had openly questioned the results of the 2016 election. Clinton admitted that she has no recourse to challenge the results. "I don’t believe there are," she said. "There are scholars, academics, who have arguments that it would be, but I don’t think they’re on strong ground. But people are making those arguments. I just don’t think we have a mechanism."